The Truck Accident Center is the largest source for information on truck safety, regulations and litigation news. Visit http://www.TruckAccidentLawsuit.net today. Last year, new federal rules instituted a mandatory 34-hour rest period for truck drivers after a maximum workweek of 70 hours. The public safety advocates at TruckAccidentLawsuit.net are announcing new information on the site for drivers affected by large truck traffic on our nation’s roadways. A new report shows Congress is debating whether to repeal a recent limitation on how often large truck drivers must rest at night*. The Truck Accident Center is a free resource providing the latest information on truck safety, regulations, accident news and lawsuits for victims and families seeking help after an accident. Visitors can learn more about truck laws and accidents in their area, and decide if they need legal advice following a crash. A recent study by the National Highway Traffic Safety Administration found that large trucks over 10,000 pounds, including semis, cargo and delivery trucks, tankers, government and construction trucks are involved in a disproportionately high number of accidents resulting in injury or death**. Reports also show human error or faulty equipment is often the cause***. Last year, new federal rules instituted a mandatory 34-hour rest period for truck drivers after a maximum workweek of 70 hours. The rest period was to also include two nights between 1 a.m. and 5 a.m., to allow drivers extra nighttime rest and fight driver fatigue*. Now, however, the Truck Accident Center has learned that lawmakers are debating whether to repeal the new nighttime-break requirement after pressure from the trucking industry*. This month, Senator Susan Collins, a Republican from Maine, introduced an amendment to freeze the rules, claiming they would put more trucks on the roads during peak traffic hours*. Lawyers can help those affected by truck accidents investigate their case to understand the causes and whether they can seek compensation from those responsible. Those who have been injured or lost a family member due to a truck accident are encouraged to visit The Truck Accident Center or speak with a lawyer about their options. The Accident Center only recommends lawyers who have already handled heavy truck and complex injury lawsuits. 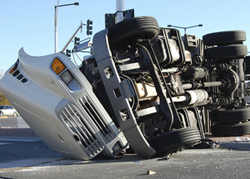 For more information on truck accidents, safety regulations, recent studies and litigation news, or to speak with a lawyer, visit http://www.TruckAccidentLawsuit.net.